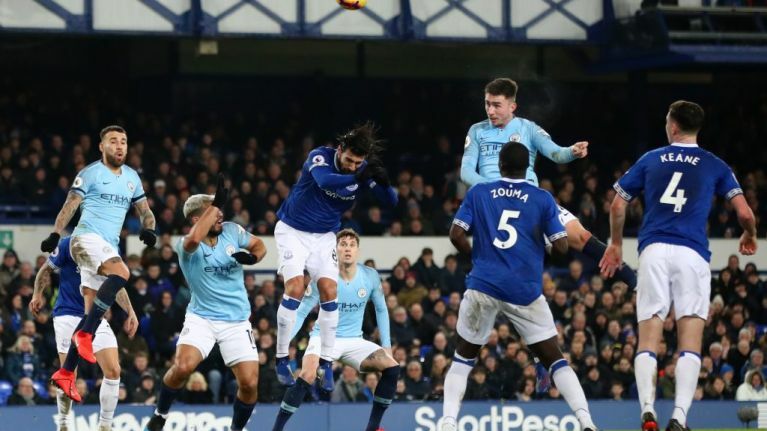 Given the significance that Everton's meeting with Manchester City on Wednesday night could have on the Premier League title race, many would have been forgiven for simply assuming it would be screened live by Sky or BT. In actual fact, this isn't the case, with neither broadcaster showing the game at Goodison Park - much to the bemusement of many on social media. The match, moved from Saturday February 23 due to City progressing to the final of the Carabao Cup, was originally due to be shown by BT before it was rearranged. Instead, they will now screen Leicester's home game with Crystal Palace that day to fill the gap in their schedule. Along with Sky, BT had made their television picks for February in December, before the fixture list had to be altered, and so it wasn't possible to screen the game on its rescheduled date. The return of the Champions League - where City will play Schalke in the last 16 stage - meant that finding a date for the game at Goodison was complicated. Special dispensation to play Premier League games on a Champions League night is required, meaning radio commentary is the only available live coverage of the match. Despite their slip up against Newcastle United last week, City could regain top spot in the Premier League with victory over Everton following Liverpool's consecutive draws against Leicester and West Ham.